Stunning Cervantes model! 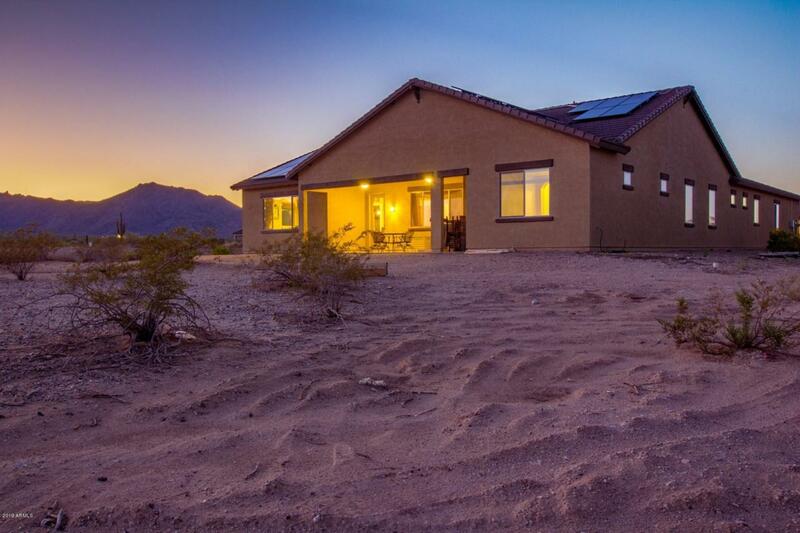 Open concept home features unobstructed views of the White Tank Mountains in the Sonoran Ridge Estates! Long Paver patio, beautiful iron door entry, private courtyard. This immaculate home has foyer leading to the living room and kitchen, both adorned with oversized windows to highlight the desert views. Chef's kitchen features staggered cabinets, bronze handles, oversized granite island, stainless steel appliances, pendant lighting, tile backsplash, a walk-in pantry and additional side cabinets for storage! Master bedroom has spectacular desert and mountain views, enormous walk-in closet with an oversized laundry room attached. Extended master bathroom has spacious custom shower, huge soaking tub, granite counters. Owned Solar! Multi Generational living!